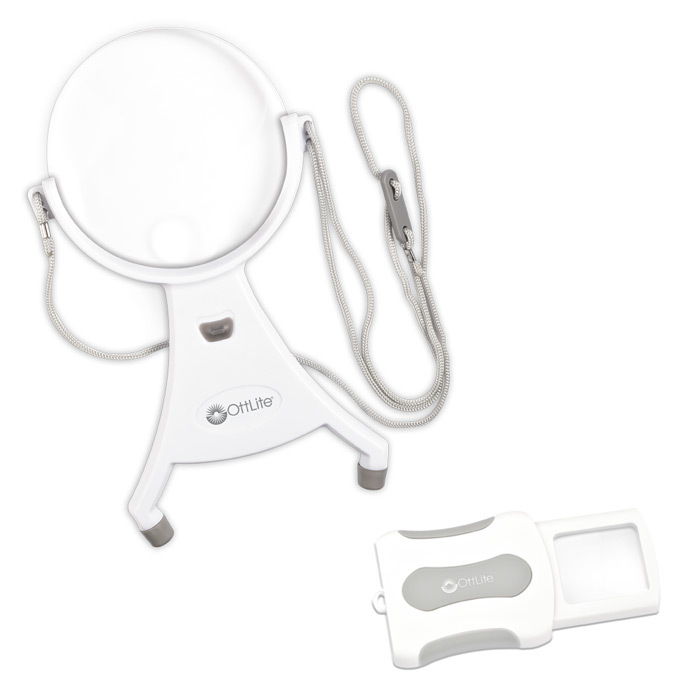 We’ve taken two of our bestselling magnifiers and put them together in one great set! 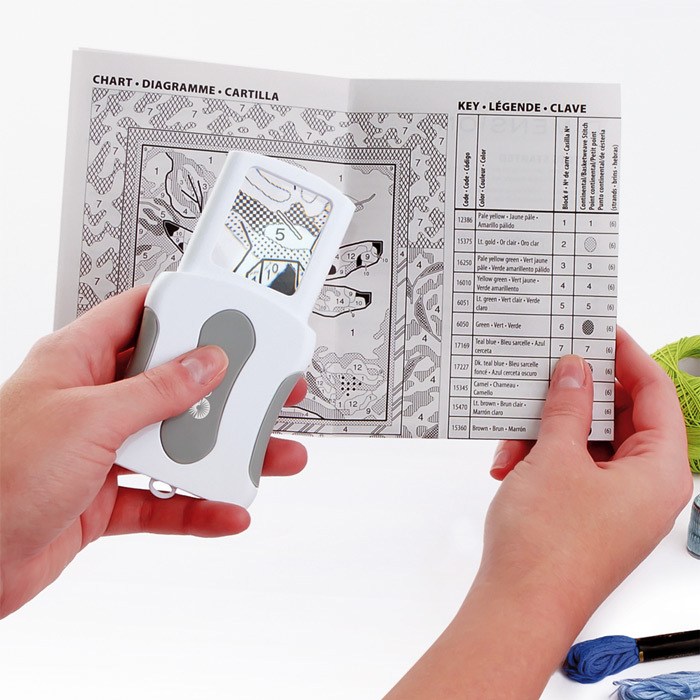 The Pop-Up LED Magnifier is a must have for your purse, pocket or craft tote. With the press of a button, it provides lighted, powerful magnification whenever you need it. When you’re done easily put the magnifier back down – the smart design keeps your magnifier protected. 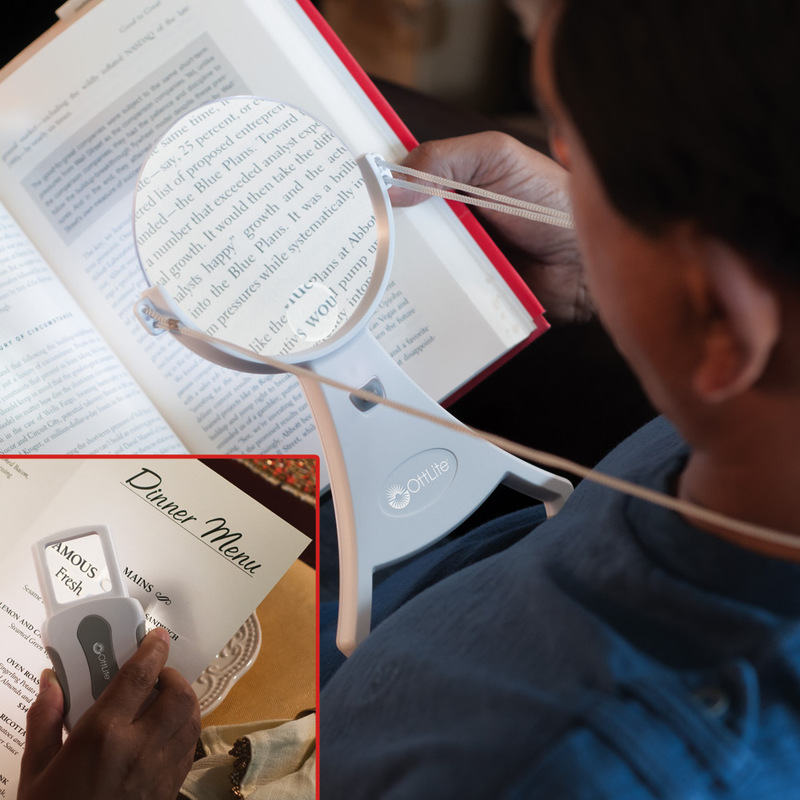 You’ll see even the finest details with ease under this convenient and well-constructed magnifier. The 4-inch Hands-Free LED Magnifier is perfect for needlepoint, reading, jewelry making or any fine-detail activity where both hands are needed. Simply place the cord around your neck and adjust the length to meet your viewing needs. 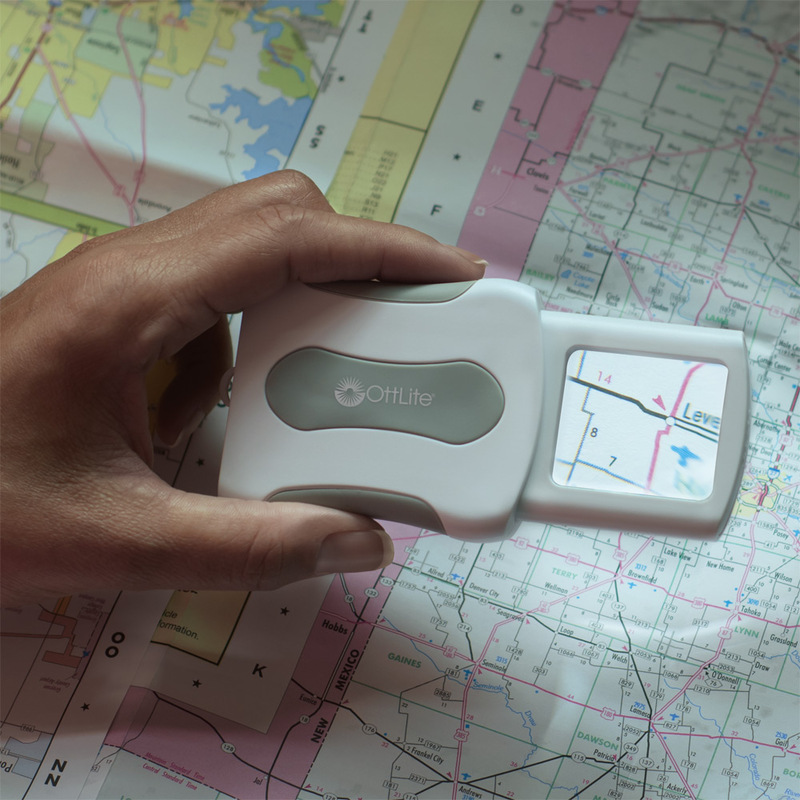 The no-slip rubberized feet keep the magnifier perfectly in place above your work so your hands are free. And, the 1.5x optical-grade acrylic magnifier features a powerful 4.25x spot viewer and a rimless edge for uninterrupted viewing.